Mrs. Louse Thorne (centre) and her family. 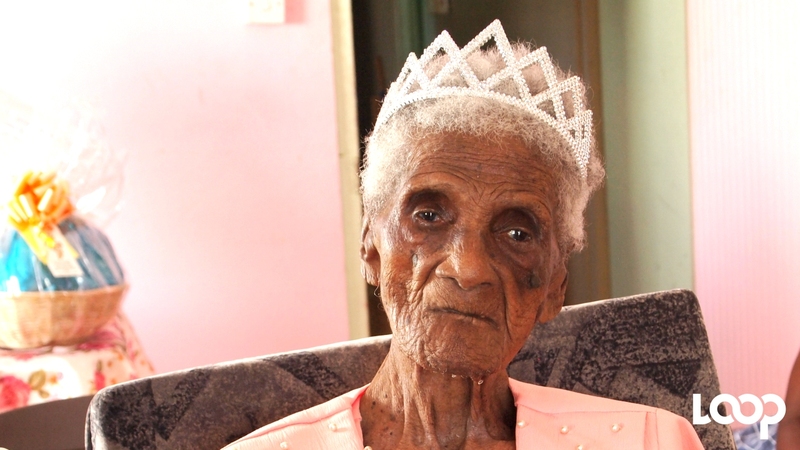 Barbados' newest super-centenarian is Louise Thorne, who turned 110 years on Monday, January 1. Mrs. Thorne, who resides at 1st Avenue, Thorne Road, Greens, St. George, celebrated her special milestone with family and friends. 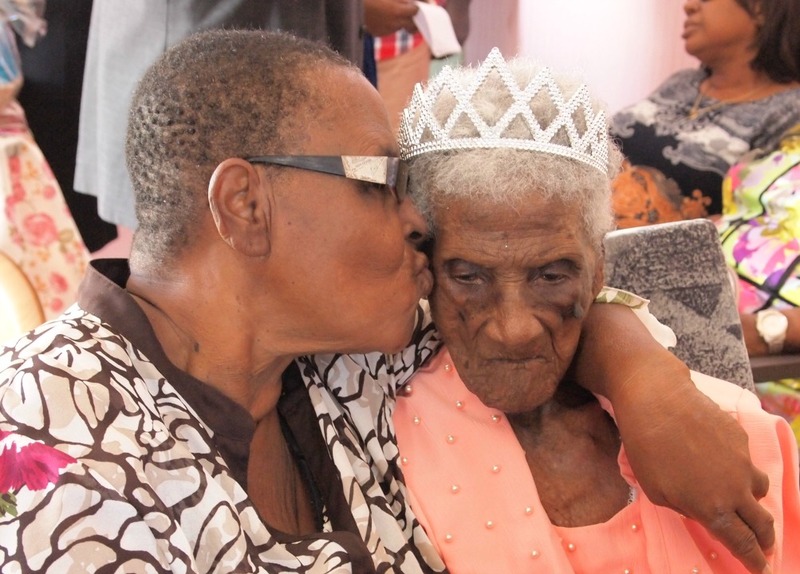 The supercentenarian is the mother of eight children, two of whom have predeceased her. 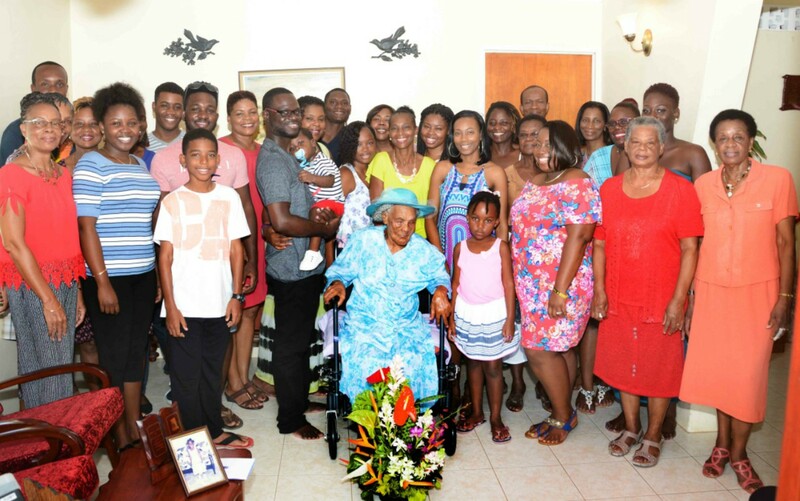 She has 22 grandchildren, 26 great-grandchildren and seven great-great-grandchildren. She was married to Alphonsa Thorne for 61 years, before he predeceased her in May 2000. Mrs. Thorne, who is still very sharp, but is blind, credits her longevity to honouring her mother and father, according to the Fifth Commandment, and her love for God. As a young girl, she worked as a babysitter for a plantation family. There were many challenges along the way, as she helped her husband work the land and raised their children. She took some of the produce from the land to The City market for sale to help support the family, and assisted her husband in raising their own livestock for consumption. 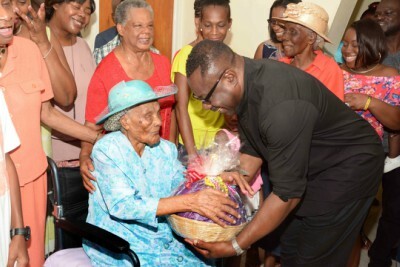 Related article :110 not out for super centenarian Millicent Yearwood! She has been a devoted Christian for most of her life and instructed her children to follow a similar path. As a member of the Church of God Reformation Movement at Greens, St. George, the singing of hymns and reciting of scripture verses form part of her daily routine. 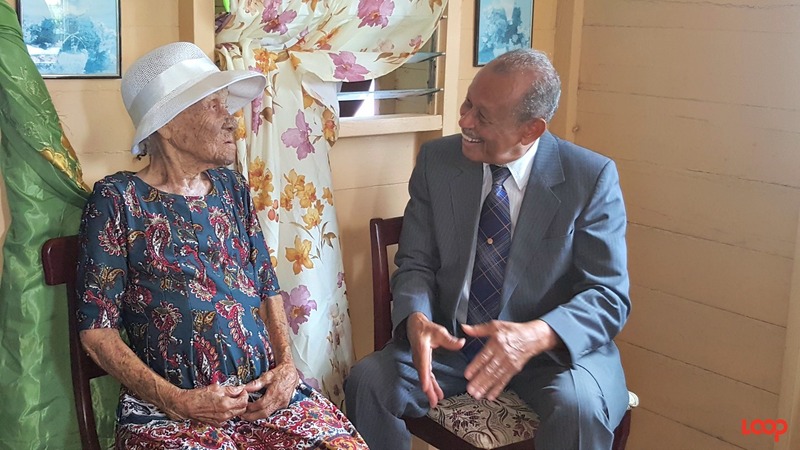 The supercentenarian is seen as a constant source of encouragement to those who share part of her daily life, as well as those who come to visit with her or call her on the telephone. Her family respects her as the matriarch, and is willing to submit to her advice and wise counsel. She ensured that her children and grandchildren were committed to education, and aspired to achieve their best at all levels. Mrs. Thorne lost her sight in her later years due to glaucoma, but still demonstrates a spirit of contentment. At her 110th birthday celebrations, her doctor recalled her singing despite the pain she was experiencing while travelling to the hospital by ambulance. She has a great sense of humour and at her age she still has the ability to inspire laughter in her conversations. After her jokes she would say “If you laugh, you won’t hear half” and “I give you a joke, but don’t choke”. One of her favourite sayings is, “I am climbing Jacob’s ladder, and will soon get to the top”. Mrs. Thorne is highly respected in her community by children, young people and adults. Happy 110th Birthday, Mrs. Thorne!